A couple months ago, we spotlighted our VIP Event and Venue Showcase at the famed Artis—Naples. It was a chance for local event planners and vendors to mix and mingle while discussing some of the top trends in catering and event planning in Southwest Florida. 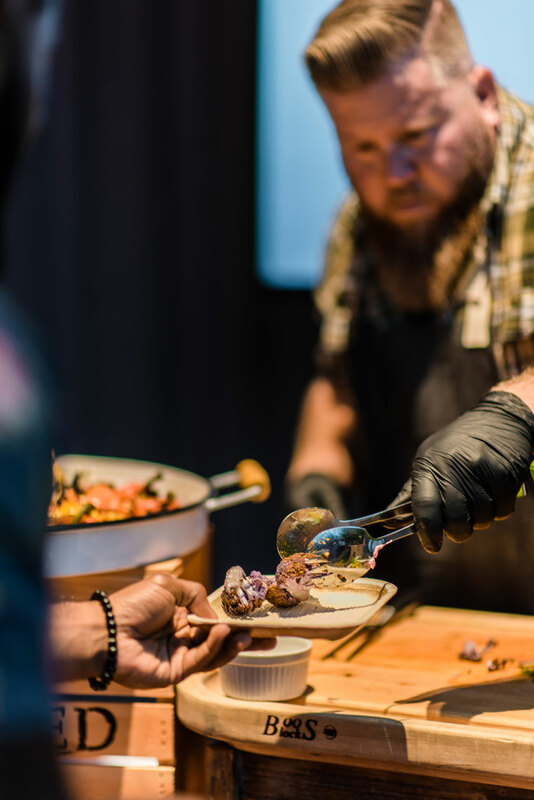 In this blog, we want to go into deeper detail on some of the innovative food stations that captured our guests’ imaginations at the event. These five food stations show the boundless creativity of our chefs. They combine some unique ingredients with thoughtful displays to make your event menu more enticing for your guests. 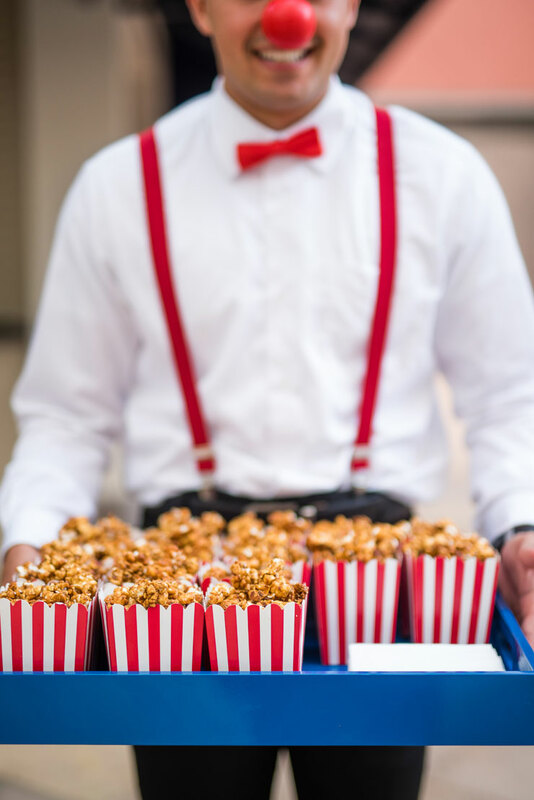 So without further ado, here are those five food stations in greater detail—all sure to give your wedding, corporate or social event a real boost! Soppressata and house-made accoutrements like pickles, jams and crackers. The industrial feel means that it can pair well with several interesting décor schemes like rustic, art deco or the increasingly popular “steampunk” look! We pair it with “Chakra shots” to create a “yogi-centric” theme that’ll bring your event a whole new energy. The station is very versatile and makes a great fit for all types of events from a rustic wedding to an outdoor birthday or anniversary party. The Pop & Shuck Cart Station. 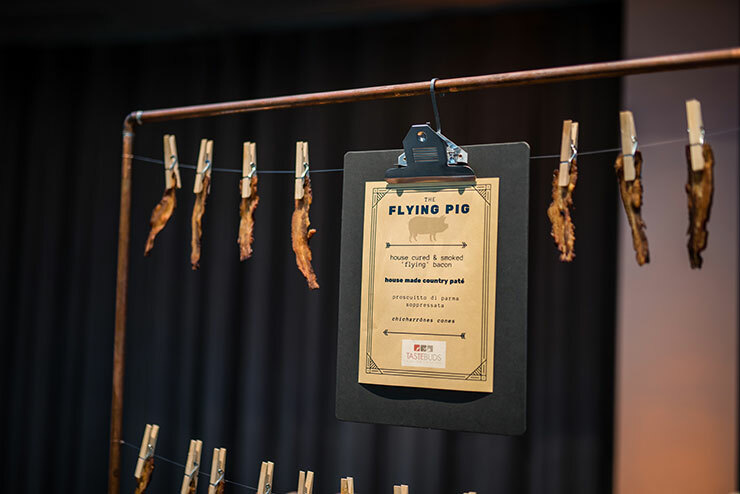 Looking for a way to give your event an extra sense of sophistication? This mobile oyster and champagne station is sure to give your guests the feeling of receiving that VIP treatment! 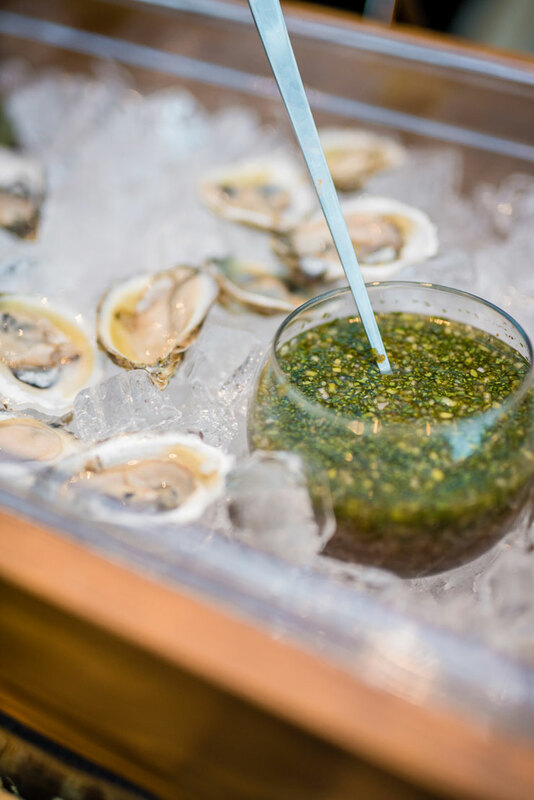 Dressed in fine garb with a bowtie, our oyster aficionado rolls through your venue while bringing your guests fresh, salty sweet raw oysters along with all the accoutrements and a glass of chilled champagne. It’s an upscale indulgence that would be ideal for a wedding, social soiree, corporate gala or even fundraiser. The Carnival Station. This station is all about atmosphere! To be more specific, it creates it all by itself. The station has a built-in “wow” factor that evokes pure joy and gives events a totally new look and feel. Picture it for your themed wedding or your next birthday party. It’s a one-of-a-kind carving station experience that’s perfect for the vegetarian and vegan crowd at your wedding reception or next social gathering! 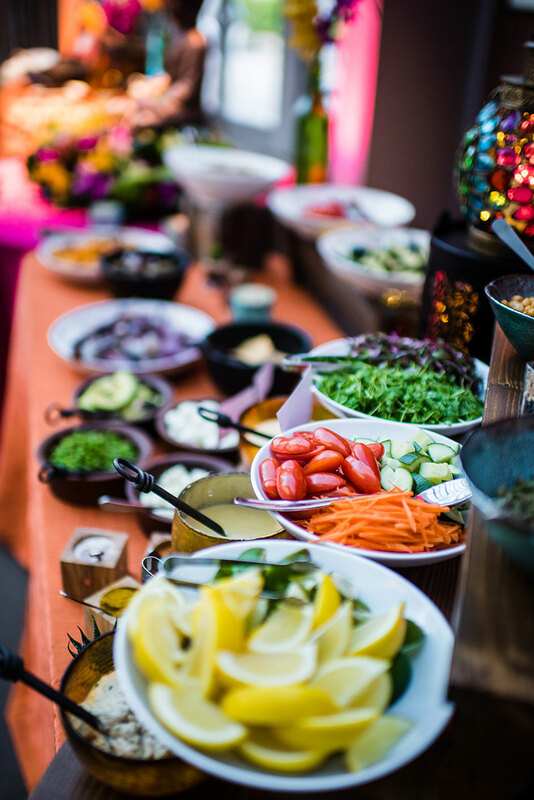 Food stations give events such personality, and we love using them to help events stand out in creative ways. So whether you’re looking to experience Artis—Naples for yourself or exploring one of our other fantastic local venues in Southwest Florida, we’d love to bring one of these stations and so much more to your next event. Get in touch with us here and let’s create something marvelous!